Work, leisure and everything in between – we have different energy levels, transport requirements and even moods depending on where we need to go and what we need to do. At Stealth Electric Bikes, we work hard to bring the best in electric bikes to all our customers. 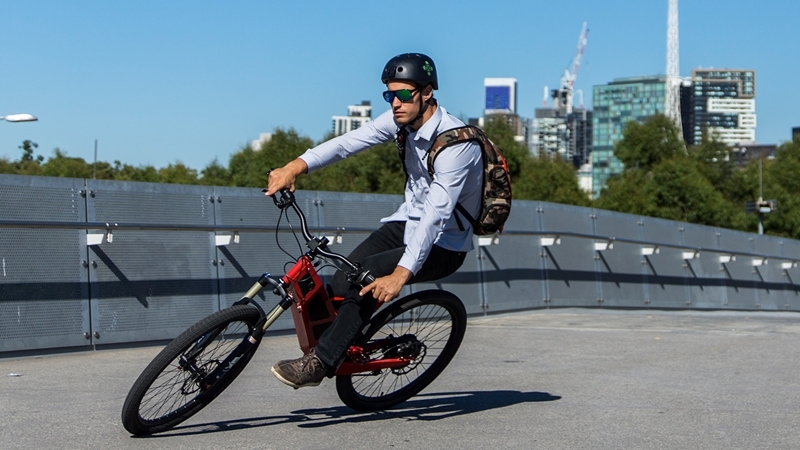 With the Stealth P-7 electric bike, we’ve perfected the customisation and capability that everyone on-the-go needs. From trail riding to the urban commute, the P-7 does it all, backed up by a long list of satisfied customers. The P-7 is ideal for use in both urban and off-road surroundings..
Pedelec or throttle control mode, the Stealth P-7 meets your needs when you’re on the road or off the beaten path, thanks to its two distinct configurations. The first is street mode, in which the P-7 acts as a pedelec (requiring manual pedalling to engage the motor). In street mode, the P-7 can run at 250W at a speed of 25km/h which keeps it in line with Australian road safety requirements. New Zealanders get treated with a 300W peak power output and a top speed of 32km/h, and for North American owners, the P-7 is delivered at 500W with a top speed of 20mph (32km/h). Off-road is where pilots can really let their speed flag fly. In this configuration, the P-7R will run solely off the throttle, letting users simply twist their wrist to reach a top speed of 45km/h (28mph). The standard Stealth P-7 has a 950Wh battery, which gives pilots a range of 100km when in street legal mode – more than enough for your daily commute or a weekend leisure ride. As expected, we know that’s not going to be enough for the more committed electric bike pilots, which is why we offer an optional battery upgrade to 1,500Wh. If you opt for this extra oomph, you’ll reach up to 150km on a single charge when using the P-7 as a pedelec. No matter which battery you choose, the P-7 will charge in less than three hours from any household 110 or 240-volt power outlet. How will you use your P-7 electric bike? One of the best features of the P-7 is its DC-1 display. Time, battery, range and a compact sine wave controller all come together to present pilots with every single piece of information they need (and more) about how their electric bike is performing. It’s perfect for those longer journeys when you might be pushing it to the limit, or for a quick status update when you’ve been in the zone for too long. In short, the P-7 is as versatile as the lives our customers lead. 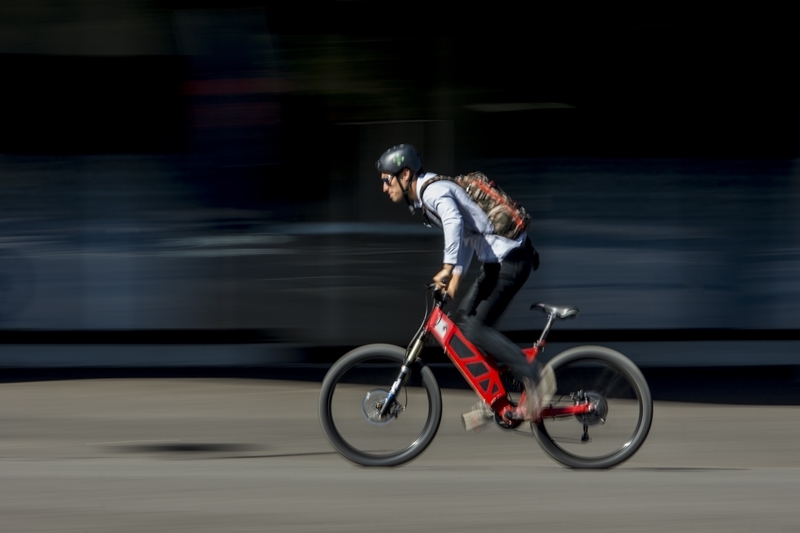 Where else are you going to get a high-performance electric bike that’s tailored for your daily commute and your off-road play time, all in the same package?